It's Competition Time to WIN your School a Team Kit sponsored by ICE Technology. Simply Enter your Contact details below and Answer 1 simple question to the Text below. ICE Technology are leaders in Learning Technology providing cutting edge solutions to Customers across the UK. 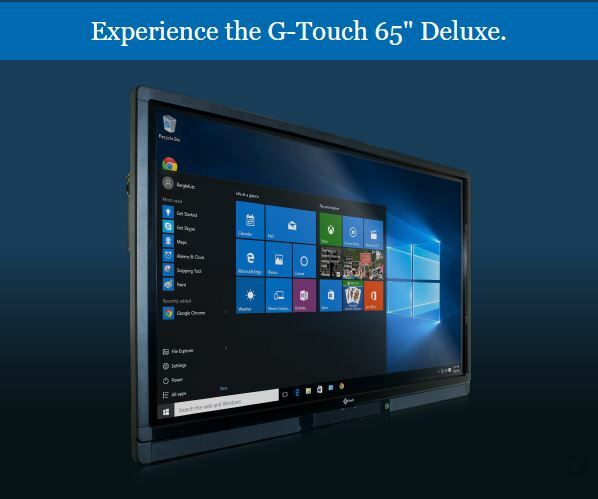 One of the Biggest Sellers at the moment is the GTouch range of Interactive Multi Touch Screens which have a 10 point Touch System and an Amazing Market Leading 7 Year Enhanced Warranty for peace of mind. Terms and Conditions : Entrants must be over the age of 18 and be employed in a Teaching capacity within a School in England, Wales or Scotland. One submission only per entrant. Failure to provide the full details on form will render the submission invalid. Information supplied will NOT be used by any 3rd Party for marketing purposes. The value of the Prize will be for the Design, Logo, Supply of Team kit for up to 15 shirts. Entrants must have permission of their School to agree to Use of the subsequent pictures (of the Pupils in New Team Kit) for ICE Technology marketing purposes only. No Cash equivalent will be provided. Any questions should be emailed to sales@iceschool.co.uk. ICE decision on winning School is final.